Fabulous handmade replica antique pewter. Huge range from tableware to tankards, candlesticks to champagne coolers. Well over 500 pieces, most of which are faithful copies of early examples, but which can be safely used for eating and drinking. Available in traditional patinated grey finish or polished to resemble solid silver (as shown here). The thumbnail below is just an example of what we have available for immediate delivery. 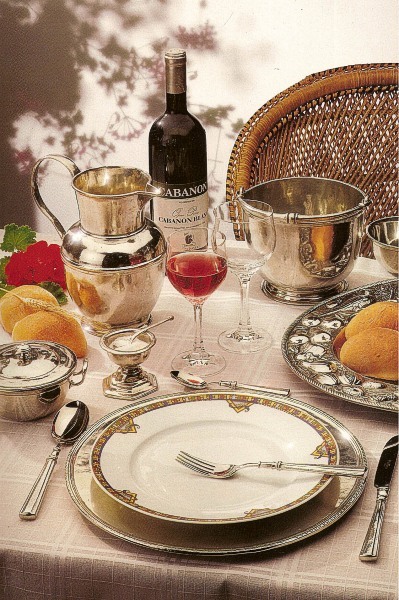 Just click on Italian Pewter for category sections of our full range.